The HapKit was my final-year Cybernetics MEng project at Reading University. 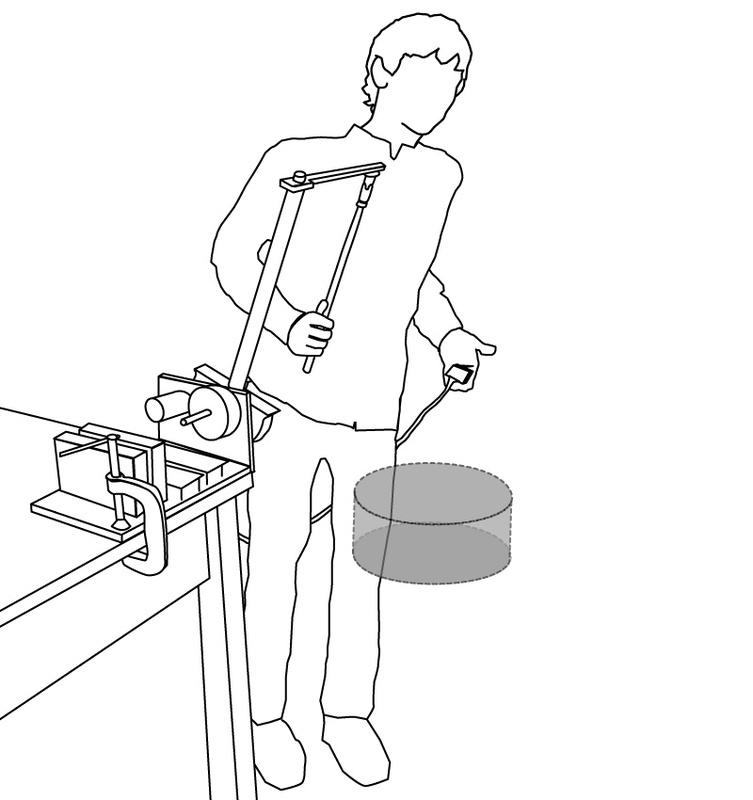 The HapKit allows the user to physically interact with a virtual drum. The main aim of the HapKit was to create a form of haptic interface that allowed the user to use the speed and force that they would usually use when drumming. The Hapkit is based upon the wire-gearing system of the Sensable ‘Phantom’ range of haptic devices. The wire gearing system has a few advantages over cogged gear systems. The advantage that is particularly usefull for haptics, is the lack of ‘cogging’, allowing a smooth interaction even when transmitting larger forces. The use of a magneto-rheological fluid brake to provide a stiffer drum surface (I used the same make of rotary brake later on in the DAMPER). The sound output was generated directly from the control signals to the motors. This means that the sound and the haptic feedback are very tightly linked – this was particularly noticable when there was a software glitch and both the sound and force-feedback would respnd to the glitch in the same way. Because the user interacts with a virtual drum, many things could be achieved that are impossible with a real drum. An example that was demo’d was the ability to rapidly turn the drum upside down; this was particularly fun as it tended to shoot the drum-stick out of the drum at high speed. The HapKit has several limitations. The interaction occurs only in a single arc. The universal joint allows the drum stick to be moved though a wide variety of positions, however the tip will always only pass through the same arc. The model of the drum was very simple. A more complex model would give a greater variety of sounds.